Why Food Is Your "Frenemy"
Is food your “frenemy?” Food can be the best friend and comfort you have when you are down or just want to feel something because you are bored. Yet after you eat, you’re consumed with self-loathing. Suddenly, food is the enemy. This is no way to live or to let something outside of you have this much control over how you feel about yourself. 1. Food Feels Good: Why is food our friend? It makes us feel good. When we eat we are “feeling” something. We are busy, consumed and getting our neurochemistry spiked. Our bodies respond physically and emotionally when we eat. Who doesn’t want to feel good? Food is a quick fix to getting our mood elevated. 2. Food Feels Bad: Why is food our enemy? In the anticipation of eating and in the actual process of eating, we feel great. We are happy, indulging and giving our souls a taste sensation until our eating activity ends. We have had too much, we didn’t think about the fat content, we lost control and now we feel guilt and disgust. In that moment, we hate food as much as we hate ourselves because we worry about it affects our health and our appearance. 3. Food Feelings Can Be Misleading: It is hard for many of us to tell the difference between full and stuffed, and that can lead to overeating. We don’t know when to stop. Then we can’t stand ourselves, our loss of control, and we are flooded with regret. We are guilty, hate food and ourselves and never want to eat again. 4. We Often Try (Unsuccessfully) To Make Up For Overeating: After we overindulge, we convince ourselves if we exercise our butts off and don’t eat as much the next day or two, we will somehow delete the effects of our overeating adventure, and we will be back to balance. We may go to the other extreme – not eating enough – but in the meantime, our self-esteem is going on a roller-coaster ride. 5. We Make Ourselves And Others Crazy: Our thoughts now cycle between fat and thin, fat and thin, to the point that we literally label our days. “I am having a fat day.” On these days our insecurities get the best of us and we ask everyone and anyone if we look fat. Wow, do we become annoying! We get ourselves fat and then quickly obsess about thin again. An inanimate entity is running our lives. So what can we do about these contradictory attitudes? Make Friends With Food: We have to do this – we cannot survive without food Any good friendship has a balance between good and the occasional bad—without the extremes. Being in a Jekyll and Hyde relationship with food is no different or crazy-making than being in this type of relationship with a person. It runs your life. Learn to appreciate the good things the right food can do for you, and beware of the bad things that can happen from eating the wrong food. 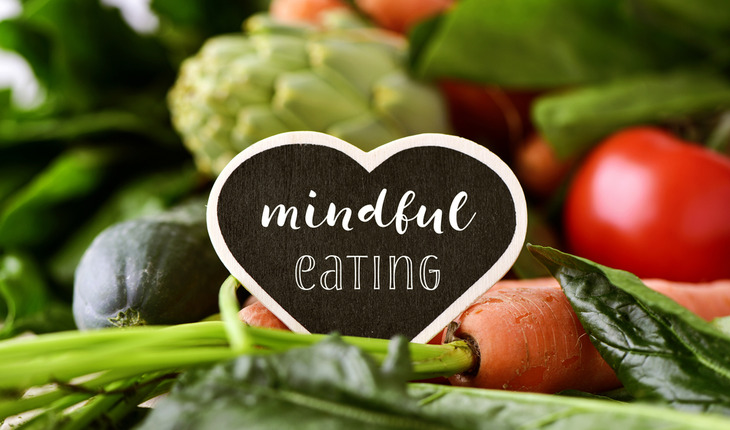 Remember That Self-Control Equals Self-Love Know when enough is enough – and remember, you deserve to make yourself feel good.When we are in a love-hate relationship with food we are actually in a love-hate relationship with ourselves. When you learn to love yourself, you can learn to see food as a friend rather than a frenemy. Sherrie Campbell, PhD is a veteran, licensed psychologist with two decades of clinical training and experience providing services to residents of Yorba Linda, Irvine, Anaheim, Fullerton and Brea, California. She earned her Ph.D. in Clinical Psychology in 2003 and regularly contributes to numerous publications, including Intent.com, Beliefnet.com, DrLaura.com and Hitched.com. An inspirational speaker, Sherrie is also the author of Loving Yourself: The Master of Being Your Own Person. Click here to order.